There's really no telling what might compel a squirrel to turn himself over to the police - perhaps lingering guilt over all those burgled bird-feeders? 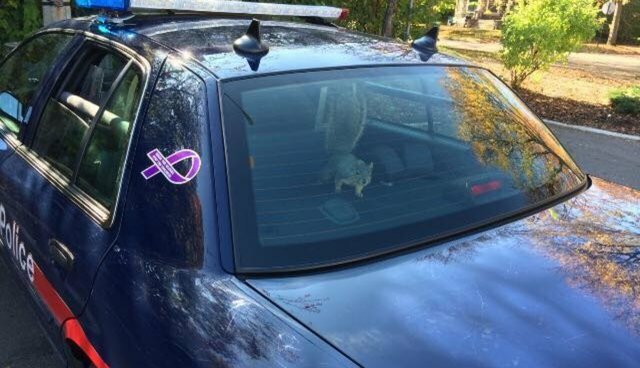 But whatever the reason, one little squirrel in Grand Rapids, Mich. recently caught the attention of law enforcement after he was found perched in the back of a patrol car like a fluffy-tailed felon. According to the police department's official Facebook page, the animal is believed to have gotten inside the vehicle through a half-open window. The officer whose car had been commandeered was unavailable for comment, but a dispatcher at police headquarters told The Dodo that the self-detained squirrel was later released from custody with just a warning.